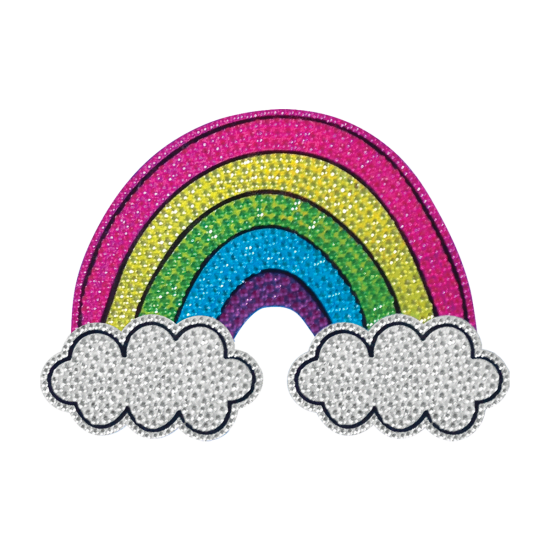 Brighten up your day with our rainbow and clouds rhinestone decals. Cheery and full of sparkle, this pretty sticker can take anything from blah to ooohs and ahhhs. Perfect for electronics, inside your locker, and on mirrors, it's easily removable.